Popcorn Shed are making gourmet popcorn the way it should be: by hand, using all natural ingredients, carefully sourced, lovingly crafted and free of any nasty preservatives or additives. Popcorn Shed’s range is suitable for vegetarians and completely gluten-free. We sell retail gourmet popcorn. We have exported to the USA and Canada before, which are obviously big export markets and we’ve also sold into Denmark and Ireland. How has the Action Plan helped Popcorn Shed? It’s helped us to gain some focus as to where to focus our energies and it has helped give a bit more clarity about what our export plans could be. 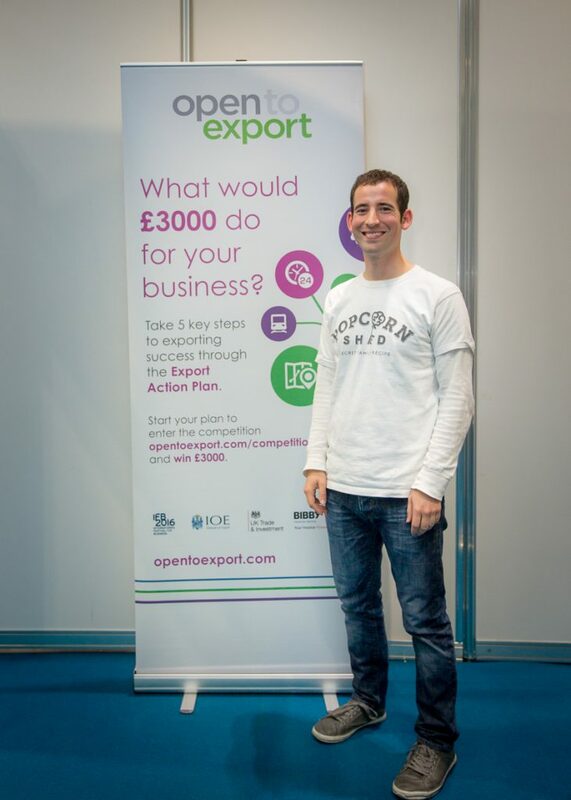 It’s great to be involved with an organisation that helps small businesses to export. It’s a fantastic experience for pitching our business in a professional ‘Dragon’s Den’ style environment. Everyone is friendly and its extremely well organised. We’re delighted to have gotten to the final and have loved being involved in this brilliant competition.